After earning praise here for an extraordinary display of grace and sportsmanship after his game collapsed in the last round of the Masters—as it had in last year’s British Open—McIlroy exorcised his inner demons and actually extended his lead in the last round. And his first words as he left the 18th green in triumph? “Happy Fathers’ Day” to his father, who was on hand to cheer him on. 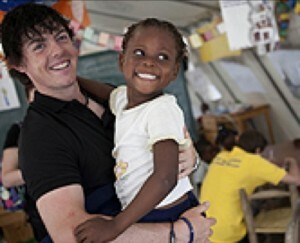 I think McIlroy may be the real deal—an ethical super athlete who practices humanity and sportsmanship. If so, golf fans can look forward to a long run of rooting for their hero in good conscience. This entry was posted on June 19, 2011 at 8:48 pm and is filed under Ethics-general, Sports. You can follow any responses to this entry through the RSS 2.0 feed. You can leave a response, or trackback from your own site.